Tonawanda didn't make corvette block ? No, all small blocks were cast in Flint/Saginaw, and had an "F" designation in the assembly stamping. If you look at your block, I'll bet it has several embossed and debossed "T's" in the casting. Many other differences too.. Others can elaborate..
Big blocks were cast in Tonawanda, NY. Here's what I found. Would be for passenger car usage. Well, it's not a TurboGlide block either so that answers the starter story. That also means that the block was never drilled for a starter motor. You should be able to drill the block if you have some kind of pattern or jig. I don't remember the 283/270 engine being available in the '58 Pass car? OP. Does your block have motor mount bosses on either side of the block? That's three holes, drilled/tapped for 3/8" bolts? Last edited by MikeM; 04-02-2019 at 06:27 PM. here, http://www.nastyz28.com/gm-chevy-cod...s-suffix-3.php , i see suffix CU 1958 vette. on the left side, the is a mount bosse. 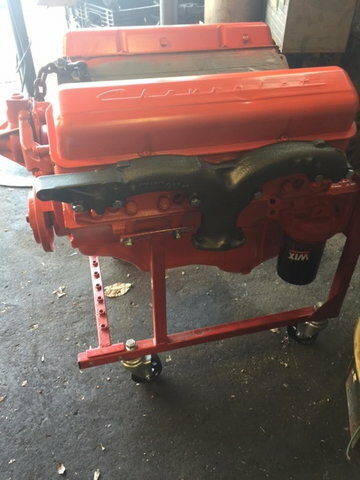 A '58 Corvette engine block was not drilled for a block mounted starter nor did it have a 153 tooth flywheel like you are trying to match your starter motor with. The 153 tooth flywheel and block mounted starter combination was not available on any SBC V-8 until 1963. It was first available on the 1962 Chevy II six cylinder and four cylinder engines. That won't help you. I don't know what holes you have there. Somebody with an early block will have to help. This thread should help you understand the difference between Flint and Tonawanda blocks. The CU suffix was also used for 2x4 carbureted passenger cars. It might be time to just get out the drill and the tap and die set and make it all work. you are right! just the time to find imperial stuff ! One other option is the 1/4 thick adapter plate to mount a front mounted starter. Here is a link to one of them. I used one of these in the past and it worked fine. Personally, I would drill and tap the block for a 63 and up starter. Last edited by emccomas; 04-03-2019 at 07:08 AM. Drilling and tapping the block will work, as discussed... 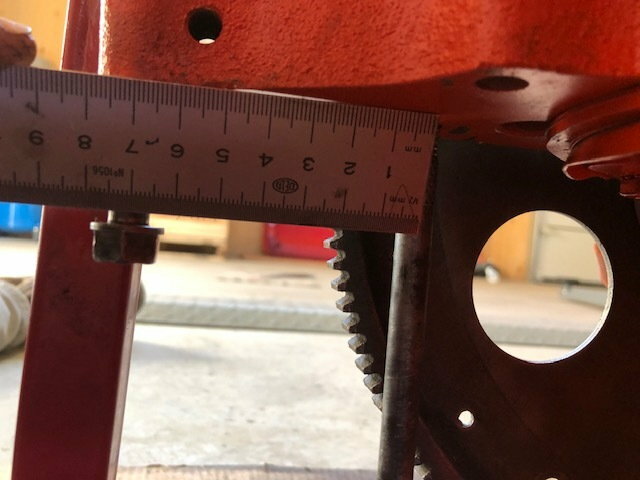 I did it on a PG to T350 swap on a 350 engine,,, but that had one bolt in the proper place, for the T350 flywheel, so alignment of the starter/flywheel teeth was correct,,, With the 283, there wont be any starter holes in the block for alignment, so you start from scratch,,, not sure how to insure the block hole location will be right,,, unless there is a template available? I typically use the TLAR method. You have two holes there now. Get a 63 and later starter and see if one of the holes lines up for the starter and flexplate. Plan B would be to get a template from a 63 or later block. Check out the video, should answer all of the questions. I Was thinking to use the external hole to align my starter engine to the flywheel ! i’m out of the office this week ....let see next week . There are 2 thread types , isn’t it ? Last edited by knockbill; 04-04-2019 at 07:19 AM. thanks, is it UNC or UNF ? It is UNC and on top of that. Requires special shouldered bolts to keep the starter square with the holes. If you try to use plain bolts, the starter can rotate around the bolts. 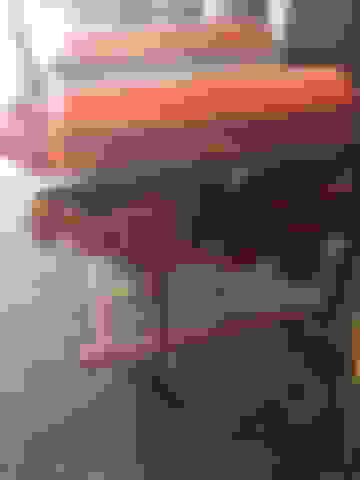 This is a similar image. Last edited by MikeM; 04-04-2019 at 12:37 PM. ok ! so i must order : 2 drill 5/16. 1 die 3/8 UNC ! what do you mean ? I need à Die set ! Nope. Dies are for cutting male threads on round stock, and that's not what you're doing - you're drilling a hole and using a tap to cut female threads in the hole. Also note that the starter bolts in post #36 are knurled (to slightly increase their diameter) where the round bolt shank ends, just before the threads start - that's to provide a close-tolerance "pilot" to center the starter bolt in the hole in the starter flange to properly align the starter casting to the block.